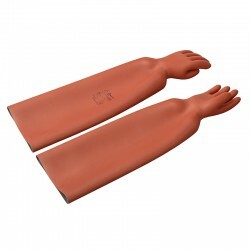 Natural rubber gloves with outer coating in orange red elastomer, black interior, cut edges. Special proper ties (category) RC, with mechanical protection. • Gloves with reinforced mechanical protection: no need any leather over gloves.